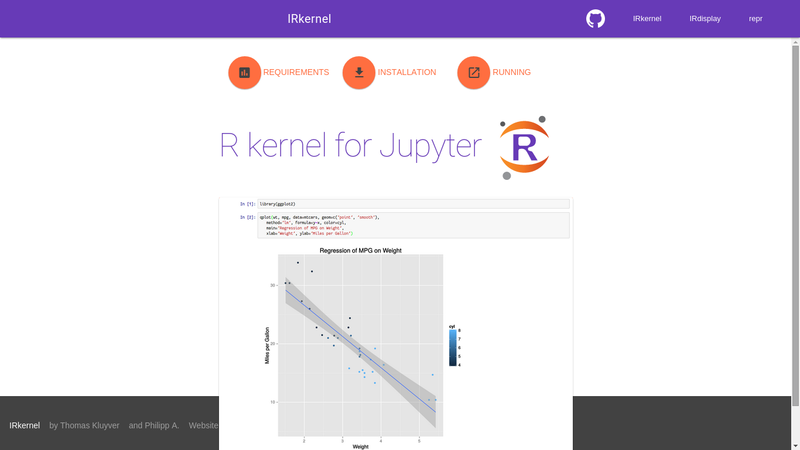 The Anaconda team has created an “R Essentials” bundle with the IRKernel and over 80 of the most used R packages for data science, including dplyr, shiny, ggplot2, tidyr,caret and nnet. 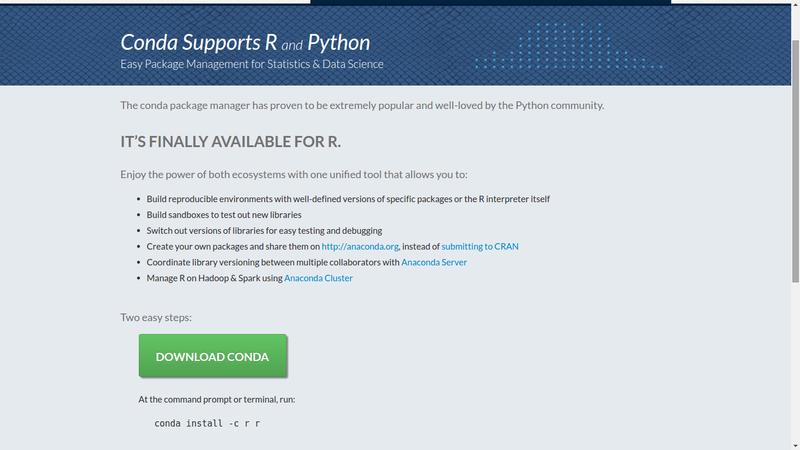 Downloading “R Essentials” requires conda. Miniconda includes conda, Python, and a few other necessary packages, while Anaconda includes all this and over 200 of the most popularPython packages for science, math, engineering, and data analysis. 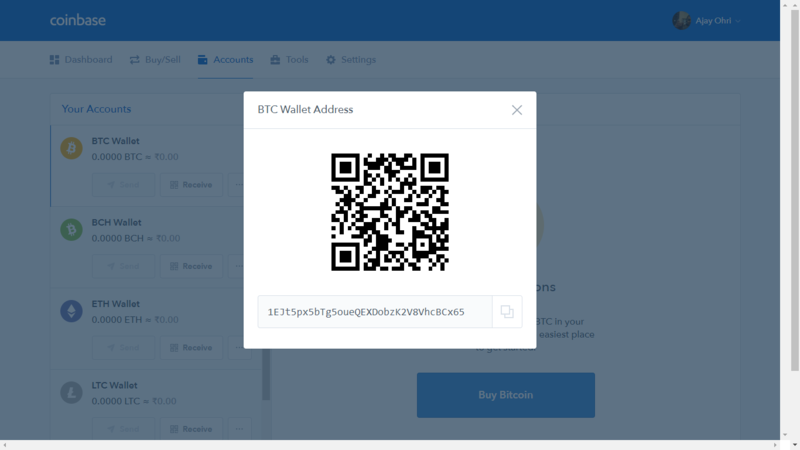 Users may install all of Anaconda at once, or they may install Miniconda at first and then use conda to install any other packages they need, including any of the packages in Anaconda. You can immediately write and run R code in the notebook cells. 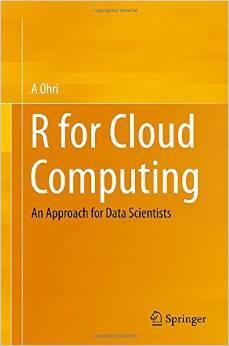 Running R from within Python – yeah! 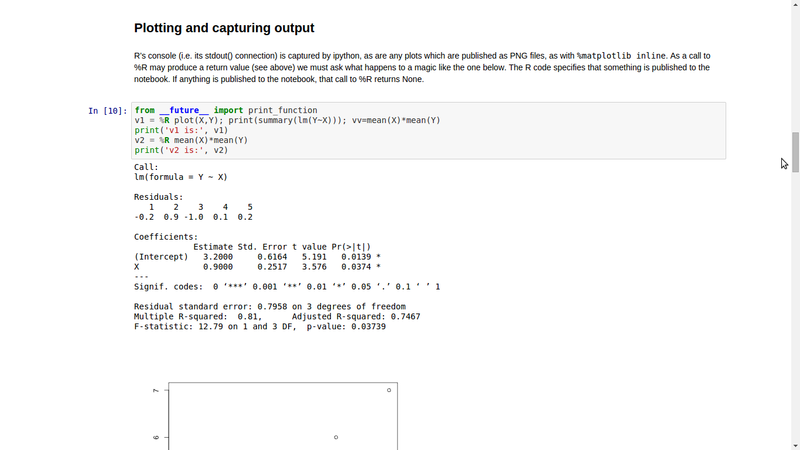 Using the rmagic extension, users can run R code from within the IPython Notebook. This example Notebook demonstrates this capability. 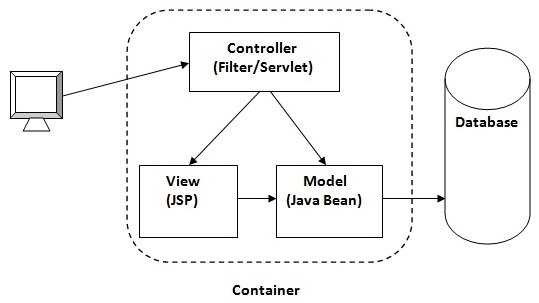 The following command starts a container with the Notebook server listening for HTTP connections on port 8888 without authentication configured. MEAN is a combination of MongoDB, Express.js and Angular.js, all of which run upon Node.js. It’s not something you learn in books, but an ability you’re born with, that you believe in, that you exercise. Success in life is about analysis. That’s what they teach in the elite institutions that those going to lesser colleges miss out on. Facts are irrelevant, you can look them up online. But how to put them together to create something new… That’s what the stars know, how to hold two contradictory thoughts in their brain simultaneously and then 3-D model the future. Geniuses are one step ahead and are ultimately decried and hated for it. They have insight the rest of us lack. Or as Gretzky put it, skate to where the puck is going, not where it is right now. That’s why superstars are on the phone all day, why they cultivate relationships. Life is war and if you want to triumph you need to know where all the bodies are buried, who is relevant and who is not. Once someone focuses on personal hurts by irrelevant people you know it’s time to move on. Winners focus on the prize, and never remove their eyes. So, once again, collect information, and then synthesize it into a plan. The narcos hired a PR firm, which charged them deep five digits for a logo that accomplished little. Use your PR team to navigate media outlets, advertising firms can come up with ideas, but you’re in the driver’s seat, you have to guide them and make the final decisions. If you’ve got no one you can count on, who’ll take a bullet for you, you’re lost. Life is a team sport, which is why loners end up on the sidelines. Once you’re ceding territory to another, not wanting to be perceived as aggressive, you’re lost. Natural leaders want the power the same way LeBron wants the ball. If you’re questioning yourself, if you’re letting someone else go first, you’re doomed. Gustavo gets Pablo to change course, but only after he hears Pablo out. He who speaks first often fails. Let others talk, and then gently nudge them in the direction you believe should be pursued. Not only in drugs, but tech and music too. Bill Gates and Steve Jobs are not lovable teddy bears. Same deal with label heads. They need to make choices to stay in power and win, choices that you might think are illegal or abhor. You can quit, but if you won’t do these same things you’re never going to win. That’s what they don’t tell you about life… School teaches you to conform but rules are for suckers. If you don’t believe everything is up for grabs, you’re a loser. Pablo Escobar didn’t start out in drugs. Don’t be married to who you are. A musician, a coder, a… Winners are always open to opportunities. If you’re not willing to change your mind, change course, you’re not going to win. We want to believe, and therefore we give charismatic leaders the benefit of the doubt when we shouldn’t. People are mindless sheep who will do anything if given attention, especially by someone rich, powerful and famous. There’s a reason your spouse can’t be forced to testify against you in court. Choose your spouse wisely and teach your children well. If you don’t have the chutzpah to ask for the unthinkable, you’re not dreaming big enough. And if they’re reluctant to conform, just threaten their family, see above. We want to believe we’ve got a way out, that’s why we lionize the renegades. They’re uninformed and stupid and can be manipulated and are expendable. Don’t believe me? You keep the Fortune 500 alive, but do these corporations care about you as they pollute, overcharge and pay no taxes? The sooner you wake up and realize the game is rigged, the earlier you get on the path of success. Following your johnson is the best way to be blown off course. If you can’t say no to the little man, the big man may not survive. They know someone else wants their perch. Just ask a banker. If money is the byproduct you’re looking for, don’t be surprised if the work is drudgery. Which is why fat cats are always looking to invest in the entertainment business. And are always ripped off by the lifers in it. Don’t go where you don’t know. At best you have one area of expertise. Nobody knows everything and no one wins it all. Life is a game where the board is wiped clean every generation and no one has a sense of history. Do you think they’ll be talking about Pablo Escobar fifty years from now? Probably not, but we’re intrigued by those who make it from the bottom on smarts alone, who are willing to challenge institutions and take big risks, because…we usually are not. That’s the mark of an amateur. Success is all about plausible deniability. 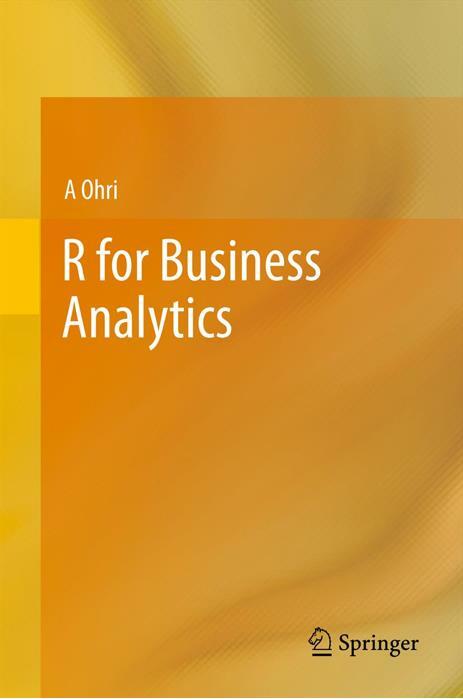 Do you need to be good in English to learn coding in R or Python? something we worked on for six months but now we are giving up due to lack of funds is this idea.